I am after information on acoustic shock in call centres, ie what causes it, is it common, how do you deal withi t - your help would be appreciated. A simple trawl through the internet reveals many sites including this one. It appears to be a newish phenomenon and given the nature of it and its affiliation with injuries such as RSI, tenitus etc I doubt you will get many employers owning up to it for fear of litigation. In my 11 years in call centres this is the first I heard of it. In the UK I suspect employers will deal with it by ensuring they and their equipment stay within Govnt Health and Safety Guidelines and ensuring staff are properly briefed on the implications of misusing or overusing equipment and/or time spent on phone. I must be honest this was new to me and I ended up reading the same web page. I checked with one of our centre's in Europe. The headset equipment they are using is (it is claimed) designed to protect against "spikes" of noise. I have never experienced this within a call centre. Whether this is because it doesn't occur or whether agents at the time do not consider it important, I don't know. As this seems to have started in Australia (I think!) I wondered if this could be a symptom of the local telecoms infrastructure. I am sure we will hear more on this topic (no pun intended). Here are a couple of items. The following links (hopefully) to government reasearch into stress of working in a contact centre and contains a lot of info regarding auditory issues. SoliCall's PBXMate Helps Reduce Background Noise in VoIP Networks...The technology is also useful in the call center as it offers agents the ability to have more successful calls since they are able to be better heard as well as hear callers better. 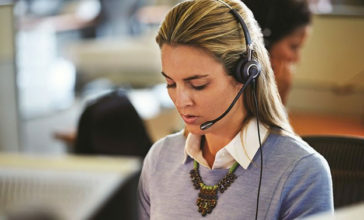 Also in the call center is a large threat of possibly of being exposed to loud, sudden bursts of noise that cause Acoustic Shock Syndrome and other health related issues. With Solicall's PBXmate solution, not only are background noises reduced, but also the level of audio stream is limited to prevent any quick or prolonged burst of audio. Section 1.8 in LAC94/2 - http://www.hse.gov.uk/lau/lacs/94-2.pdf - states the current official view in the UK. The training content of Prevent-IT! DSE Plus - www.insidetrackmedia.co.uk/piprinf.html - covers this, including precautions that staff, themselves, should take to prevent interference, a prime cause. Incidents can be reported via the self assessment.